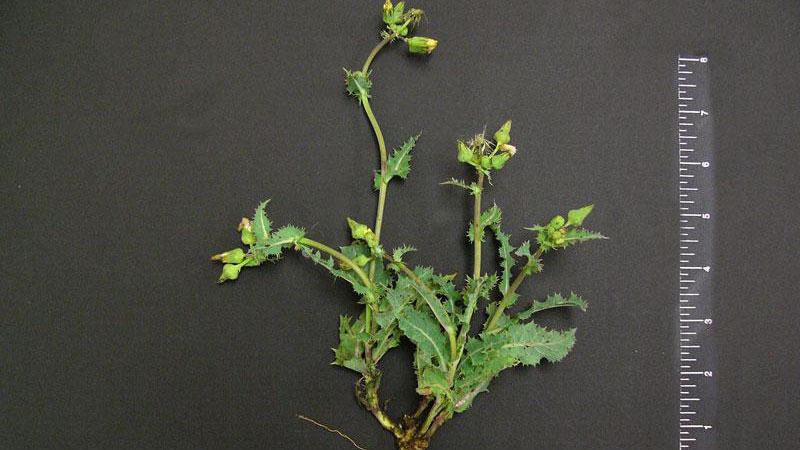 Spiny sowthistle is a summer annual weed with a basal rosette and an upright flowering stem. The leaves are deeply notched and wavy. 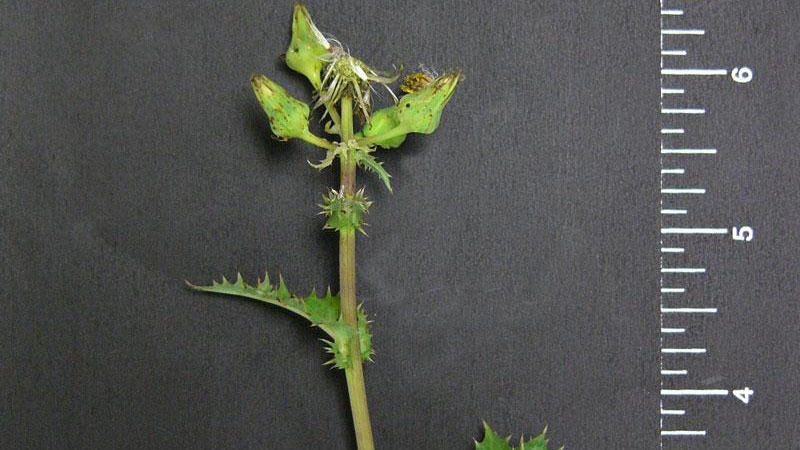 Spiny sowthistle has yellow flowers that appear in late spring, and the leaves and stems emit a milky-white latex when crushed. The weed is found in open habitats that include waste areas, turf, and roadsides. Maintain a dense, actively growing turf through proper mowing, fertilizing, and watering practices. Mow at the proper height for your selected adapted turfgrass. Coring and traffic control reduce compaction and encourage desirable turfgrass competition. It is best to control this summer annual broadleaf weed in late spring or early summer because it is easier to control at this time and the turf will have a greater chance of recovering the areas previously occupied by weeds. Figure 1. Spiny sowthistle growth habit. Figure 2. Spiny sowthistle growth habit. Figure 3. 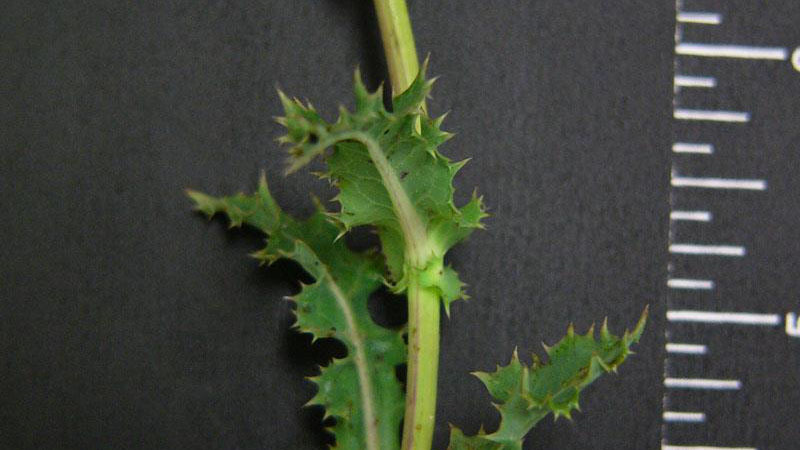 Spiny sowthistle leaflet shape. Figure 4. 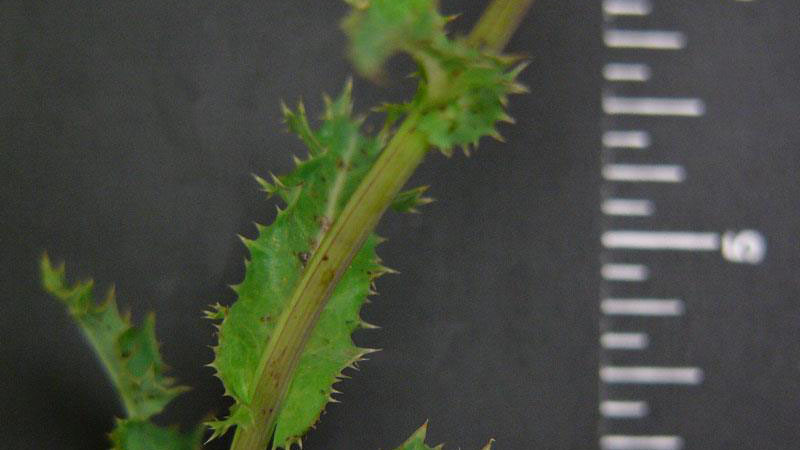 Spiny sowthistle leaflet shape. Figure 5. 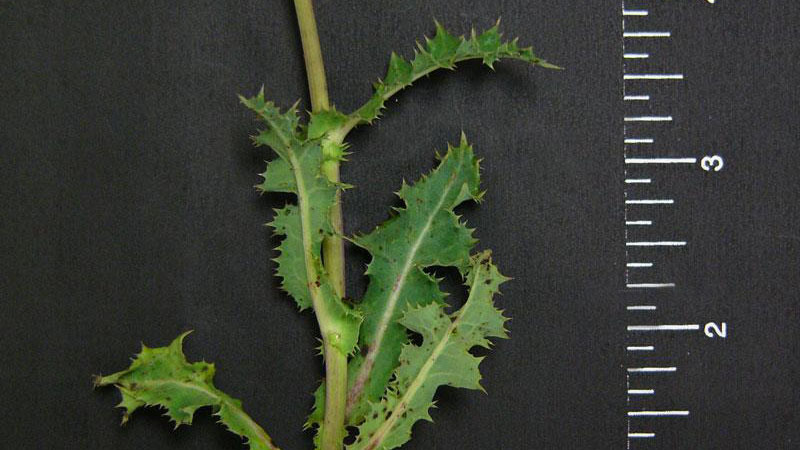 Spiny sowthistle leaflet shape. Figure 6. 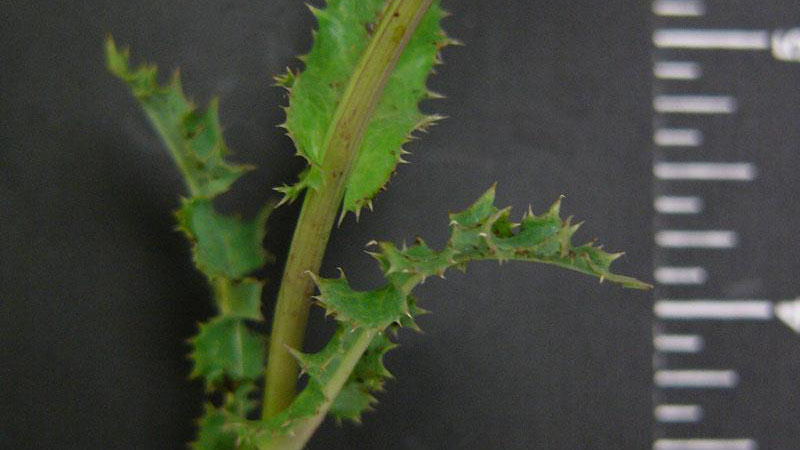 Spiny sowthistle leaflet shape. Figure 7. 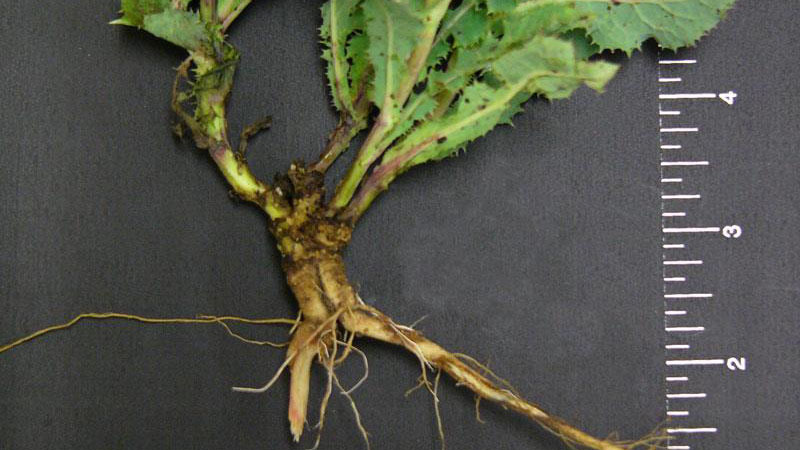 Spiny sowthistle root type.